During her time at the Aquarium, Judy has had many opportunities to share her knowledge. 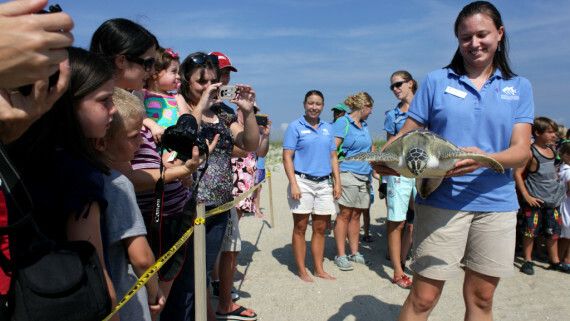 Judy began as an Education Volunteer working at the touch tank teaching visitors about the animals. 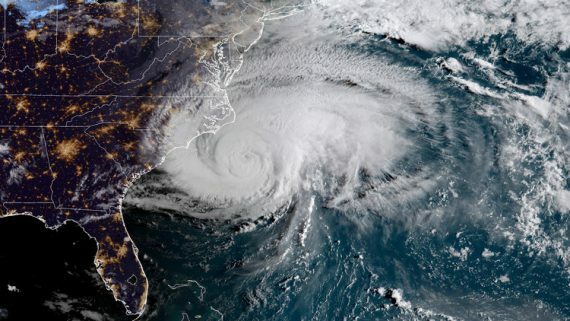 Later she developed a fossil cart display, narrated the dive show at Cape Fear Shoals exhibit and interacted with visitors at the sea turtle exhibit. 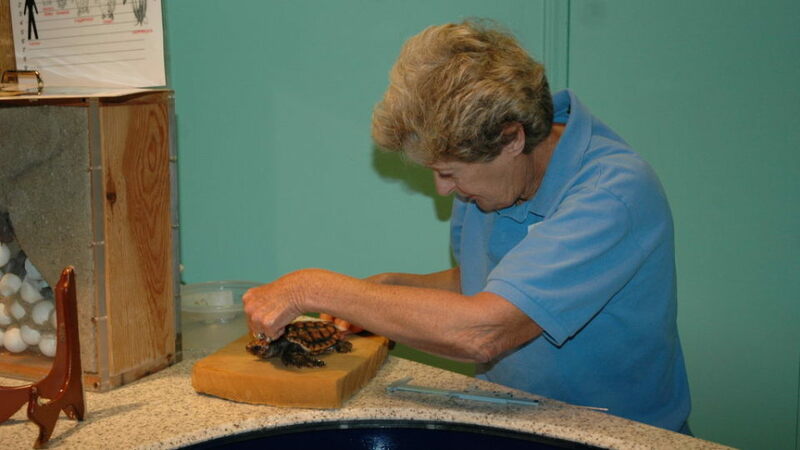 When the Aquarium closed for renovations in 2000, Judy began volunteering with the Aquariology Department. 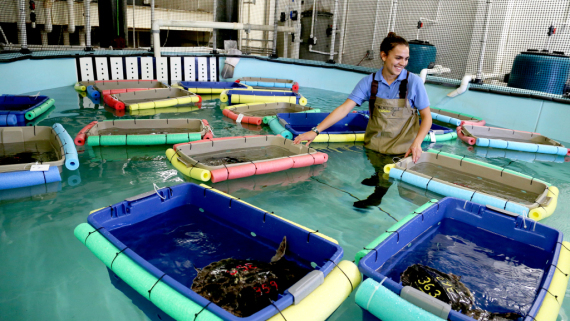 She assists in food preparation, cleaning exhibits, feeding, weighing and measuring the sea turtles, as well as providing enrichment for the turtles. 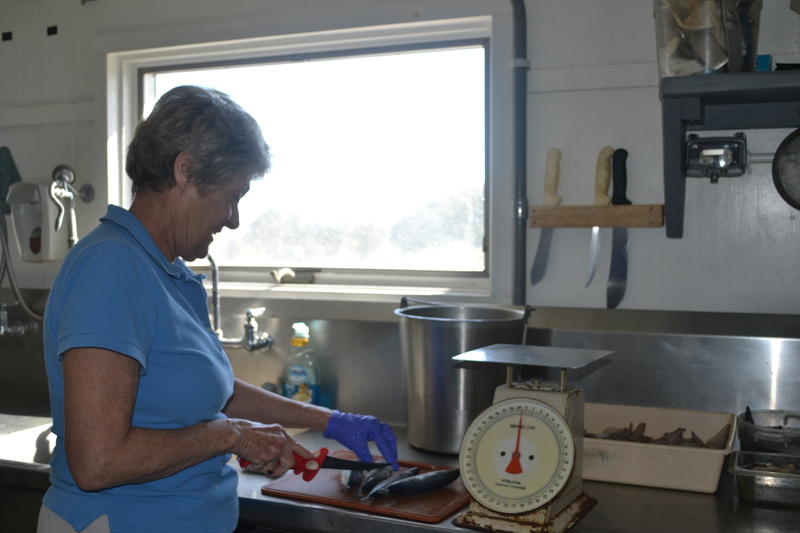 Judy cutting fish to feed to an exhibit. 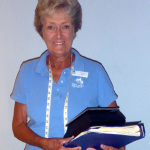 Judy knows volunteering at the aquarium is a great opportunity. Judy’s dedication to sea turtles extends to work outside the Aquarium. 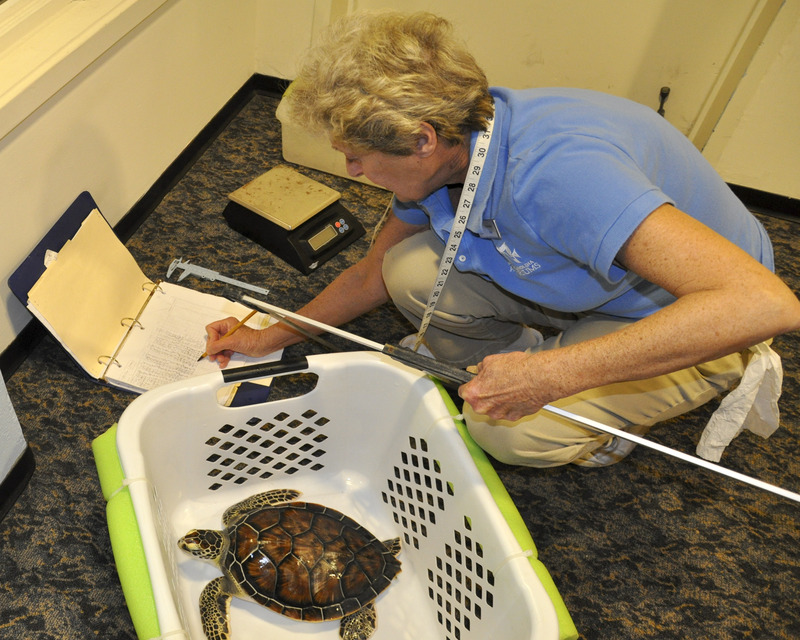 Thanks to Judy’s hard work, our staff is able to track the weight and length of our sea turtle hatchlings. The weekly sea turtle information posted on the Sea Turtle Exploration site is collected by Judy. To learn more about volunteering at the aquarium, visit our Volunteer Page. 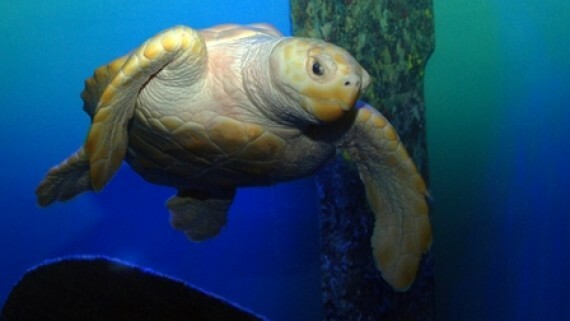 Would you want to work with sea turtles? 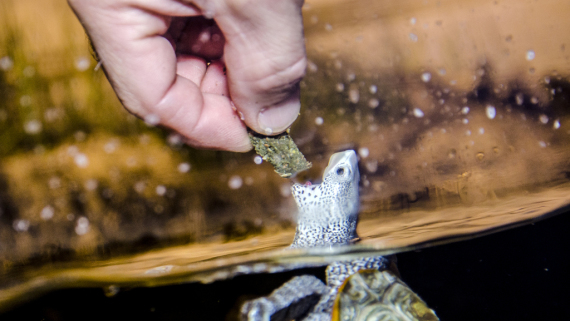 What would be your favorite part about working with sea turtles? Let us know in the comment section. Teachers, for more information on turtle weights and lengths, check out this lesson on graphing growing turtles. 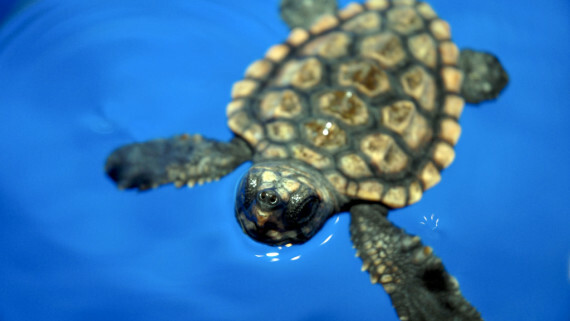 Join us next week when we introduce you to this year’s hatchling sea turtles!